If you are searching for Virtual Private Server Provider then you can get in touch with Cloud 4 Sure Ltd at your earliest. There are many companies offering this service so just get in touch with a few of them and see who is able to offer you this server which is most suitable for catering to your needs. This server is considered to be an ideal option for those business houses which are running complex applications or having a fast trade growth. Moreover, it is considered to be the most cost-effective hosting solution and hence has become popular amongst many clients. Cloud hosting services prove to be very beneficial as it allows you to use this service as per your requirements and you are required to pay only for what you use. 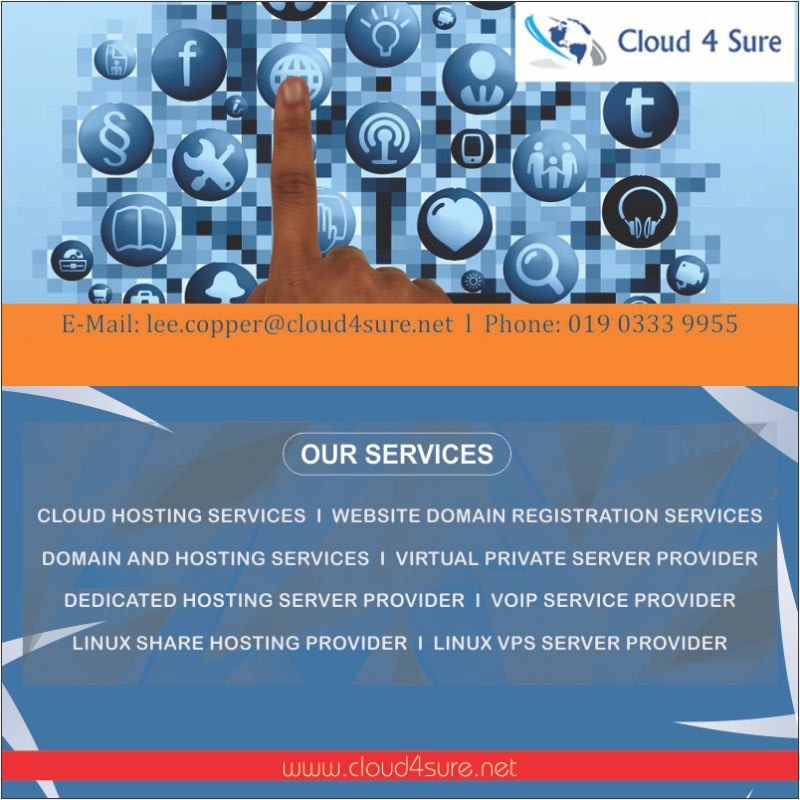 Cloud 4 Sure Ltd is based in Sussex and well-known in the industry for providing reliable cloud hosting services for its clients. Method of Payments: Visa/Master, Cash, PayPal, Bank Transfer/EFT. Hours of operation: Monday To Friday: 09:00 AM To 05:00 PM. Saturday & Sunday Closed.